I had the privilege of running by the Rifle Dynamics shop a couple of weeks ago when I was out in Vegas, and it was a great visit. Jim Fuller and the crew at Rifle Dynamics take an approach that is refreshingly different than the one taken by most of the businesses just 20 minutes away on the Las Vegas strip. Rather than focusing on glamour and luxury, Fuller set out in pursuit of a different animal entirely: refinement. And not in the black tie, elegant, consummate gentleman sense—the trial by fire, reworking, purifying kind of refinement. The kind that turns something into what it was meant to be. If that evokes an image of blacksmithing in your mind, he would suggest that’s because it’s more like blacksmithing than gunsmithing sometimes. It’s a part of the job he enjoys. Fuller has been successful in his endeavor, as anyone from Travis Haley to Colion Noir to ex-Spetsnaz operators will tell you. These guns are what the AK has the potential to be. Shown here, a brand new RD 710 with a Battle Comp muzzle device and a really rare waffle mag Mr. Fuller was nice enough to let me play around with. The most obvious difference between an RD AK and any other one that you’ll ever pick up is the balance. Fuller started off the RD venture by teaming up with Venom Tactical on a gas system design that would shave a full pound off the front of the rifle, thus shifting the center of gravity back towards the shooter to a drastic extent. The result? Much smoother transitions, less “over-swinging” when moving from target to target and exceptional “balance” while shooting compared to a typical AK. Naturally, armchair haters didn’t like the idea, but anyone who actually used it loved the difference. Fuller’s philosophy from the very beginning was “If you can’t do something new for your customer, why put a product on the market?” It’s a philosophy that a lot more manufacturers should adopt these days. When asked “Why the AK?” Jim just smiled and explained it’s a no-BS platform that’s very good at what it does. “These aren’t target rifles, these aren’t made to be pretty,” he said. “They’re not politically correct. What is it good at? Killing stuff. 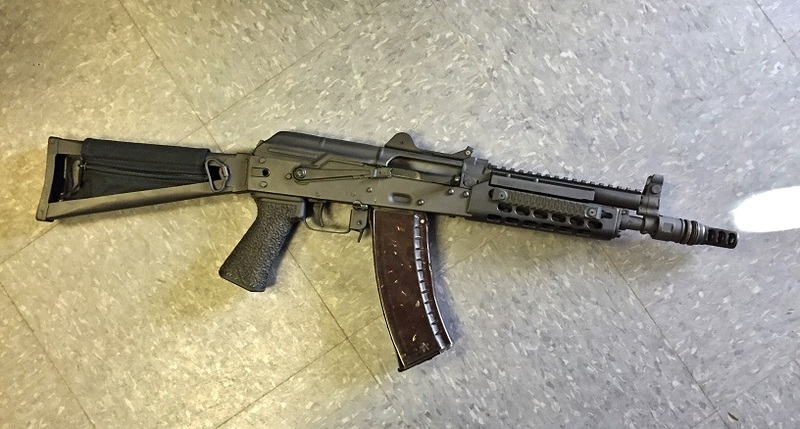 There isn’t a polite way to say that.” In sum: a Rifle Dynamics AK is made to do business. And these things do business. Most of the rifles head to the range three times before being shipped to customers. That typically amounts to about 100 rounds being test fired through every single gun. The RD crew guarantees that it will work when you get it. The action on the RD guns I handled feels a lot smoother than most AK’s you’ll encounter. As with anything that actually gets shot, that tends to get even better the more rounds you sling downrange. For me personally, a traditional gripe I have when trying to run an AK is that I have bad eyes and I have a lot of trouble with the sights at further distances. I know these aren’t designed to be long range precision weapons, but I want to be able to run irons proficiently at longer distances if my optic goes down. 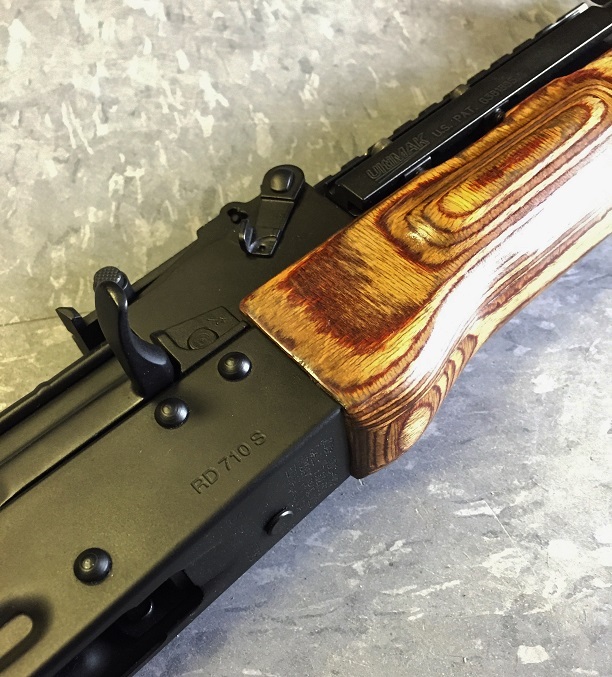 To help other people with bad eyes or similar critiques, or maybe just to make everyone else faster too, every Rifle Dynamics AK features a rear sight that is opened up and radiused on the exterior edges. In conjunction with a tall front post, this eliminates both exterior right angles and serves to help draw the eye inward instead of presenting a sight picture that confuses the eye. It makes sense when you think about it—an AR-15 aperture rear sight has no right angles at all and they work quite well. Add to that the fact that even the SBR’s have plenty of rail space for an Aimpoint H1 or T1 and you’re in business. Traditionally, the AK has presented a problem from a sound-suppression standpoint. 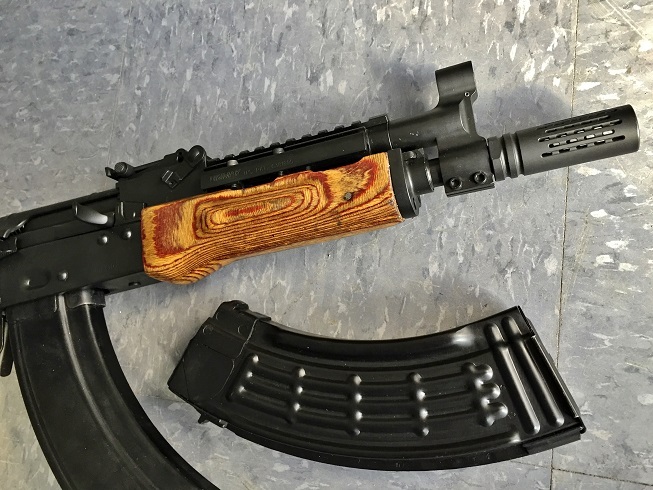 The AK design has inherent sound leakage problems; quite simply, it was not designed to be quiet any more than it was designed to be politically correct. But there are significant benefits to running a suppressed rifle for purposes ranging from duty or home defense to training classes—and all sorts of applications in between. So in keeping with his mantra that your products should always be able to offer something beneficial to your clientele, Jim teamed up with SilencerCo to solve some of those problems and “tune” guns to be more appropriate for suppressed use. Without spoiling anything with too many details, it’s a process that ranges from gas port dimensions to all sorts of other items so that the suppressor can better do its job. Jim’s favorite model? The RD-74 URD setup, which is a hybrid that can best be described as a half AK-105/half Krink shorty with a full-sized AK sight radius (which has a lot of benefits). The URD also has a 1:6.8 twist rate compared to 1:8 in the 105 or the 1:6.3 rate found in Krinks. That being said, he is very clearly excited about a 300 BLK model that will be debuting later in 2016 (first through another Summit Series partnership with SilencerCo and later as a standalone addition to the RD lineup). The prototype of the 300 BLK was awesome, and it’s something I’m pretty excited about adding to the safe when I have the coin. Another heads up: Jim also told me that he likes what he’s seeing from SLR, so you might start seeing some of their handguards on RD builds. -Colt Driver; for more information, check out Rifle Dynamics HERE! *A big thank you to Jim Fuller and the kind folks at Rifle Dynamics for taking the time out of their busy schedule to sit down with me and let me walk through the shop. If you’re ever out in Vegas when they’re teaching a class, I am sure that would be another fantastic way to spend some time out there.